it's a sad day that the fan game scene turns out better than the official game scene. oh well. fan game is better than no game at all... actualy, fan game better than MOST OF THE RECENT STUFF THEY'VE PUT OUT! thanks for posting this stuff Pdude. i kinda collect these. 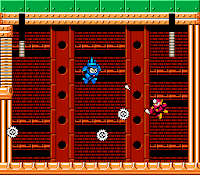 now if i could just get my hands on Mega Man Rocks and Mega Man Paradise. Not bad, but there are too many other superior fan projects for me to be excited about! I'm still really looking forward to MEGA PHIL X's project and, of course, MEGA MAN X: CORRUPTED. 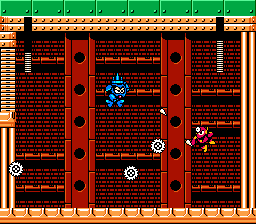 Also, I hear whispers that the team that did RM7 and RM8 in 8-bit are going to do Rockman & Forte, and that would be great! Chrono X is amazingly accurate to the rest of the BN series. Astounding fan work, really. And Chrono X wins by a landslide. I don't mean to brag, but with a high-quality logo like that, it's no wonder the project is going great. They deserve it.